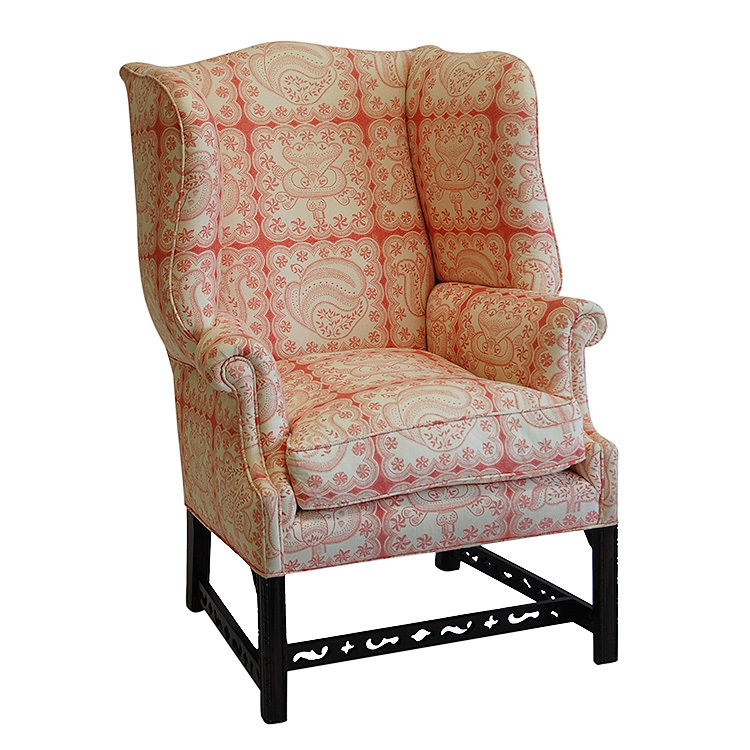 Wing chair with Chippendale style legs and carved open fretwork stretchers. Seat height at front: 18"
Stain finish options: dark walnut (shown), custom paint & stain colors available. Custom sizes available, contact us for pricing & COM/COL requirements.